Make You Better 243 – …it's all about Studio Cycling! Inspiration: A 60 minute class today calls for a fresh 60 minute playlist! Also this weekend…the first weekend of the 2015 installment of LaughFest, an annual event in the greater Grand Rapids area. This year is the fifth time comedians have taken over the city for 10 days of this “seriously funny” event. Last night we did our part and saw Costaki Economopoulos…a great show, and has me primed for more laughs before the event closes in a week. LaughFest is a fundraising tribute to Gilda Radner and the organization Gilda’s Club, providing free emotional healthcare to children, adults, families, and friends on any kind of cancer journey or those grieving the death of someone in their life due to any cause. 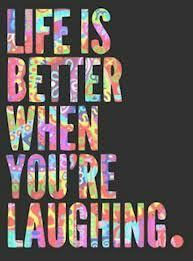 Remember to LAUGH a little on your journey to be BETTER! Love DJ snake!! Looks like a great class!